The rates of injuries and fatalities related to electrical hazards have declined steadily over the past 20 years, but eliminating these types of injuries in the workplace is an ongoing battle. It’s important that all employees who interact with electrical hazards are properly trained to work with electrical currents, and that this training continues throughout an employee’s tenure at their job. Stressing electrical safety and regulatory compliance within the workplace should remain a high priority in these industries. For those who work with or near electricity on a regular basis, here are a few tips to ensure that you and your fellow employees remain safe. Identify all hazardous electricity sources in your workplace. Without comprehensive knowledge of all hazardous electricity sources on a jobsite or within a workplace, it’s possible that some sources might remain “live” (that is, electrically charged) during maintenance or repairs, posing a serious threat to health and safety. All employers should work with relevant personnel to conduct a thorough survey that will identify and analyze all hazardous electricity sources; these sources must be locked out before any new installations, routine maintenance, or repairs are undertaken. A map locating and labeling these sources should be drafted and posted throughout the worksite, and the hazards should also be labeled at their physical locations to keep all employees aware of the potential risk. Always work in compliance with MOSH regulations. Under MOSH regulations, all employers are required to ensure that hazardous electricity sources are completely de-energized before equipment is repaired or serviced. When employees must attempt to service equipment that cannot be completely de-energized, the employer must provide guarding, insulation, personal protective equipment, and any other means necessary to protect their employees from potential injury by electricity. Create and implement a company-wide electrical safety program. All employers should create and implement a company-wide electrical safety program that details proper “lockout/tagout” (LOTO) procedures; these protocols are designed to safeguard workers from dangerous electrical discharges. The program should also include training segments about how to verify that relevant equipment has been de-energized and how to properly re-energize it as well. The electrical safety program should contain thorough training segments for all employees, and posters of acceptable and non-acceptable operations should be posted throughout the workplace and near potentially dangerous equipment. Additionally, the program should outline the degree and severity of disciplinary action that will result if an employee neglects the procedures in place. Neutralize hazardous electricity sources prior to repair.Only one worker should have control of a lock to eliminate any chance that a machine could be re-energized during repairs or maintenance. If more than one employee will be working on the machine, each worker should install separate locks and tags so that the equipment cannot be re-energized until all locks have been removed.In addition to following lockout/tagout procedures, it’s imperative that workers drain all stored or residual electricity from equipment, even after the source of power has been isolated. This includes grounding all capacitors, blocking or releasing compressed strings, venting fluids, and stopping system components completely after the machine is de-energized. If you have been hurt in an electrical accident at work, you should immediately seek medical treatment — even if you feel that you only received a minor jolt. 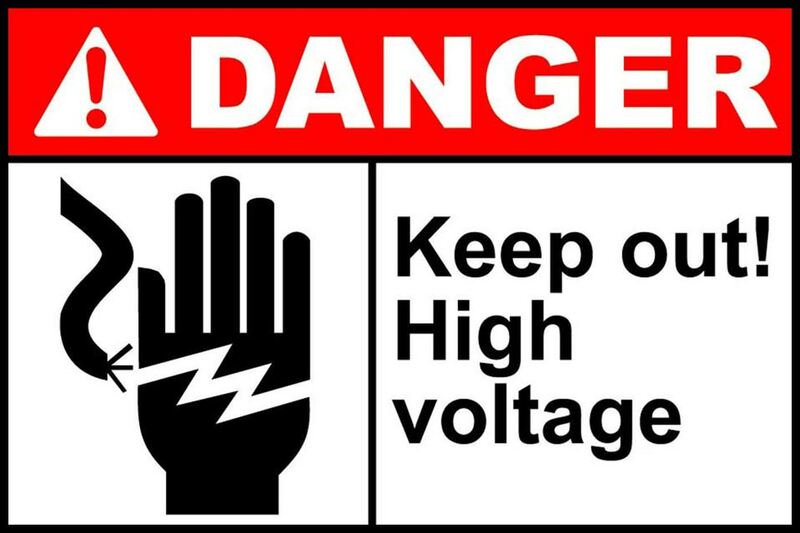 Direct exposure to a high-voltage current can cause potentially fatal cardiac and respiratory disruptions as well as damage to muscle and brain tissues. These injuries might not be visible right away, and if left untreated they could lead to amputations; this means it’s critical that you seek medical treatment after exposure to dangerous electricity, regardless of the severity or duration of the contact. After receiving medical treatment, you should contact the attorneys at Pinder Plotkin LLC right away to find out whether a workers’ compensation claim is appropriate in your case and whether you have a potential claim against a third party. Injuries that arise from electrical exposure can be severe and even fatal. If you have been injured or lost a loved one due to an electrical accident or any other workplace incident, please get in touch with the legal team at Pinder Plotkin. Our firm has litigated hundreds of workers’ compensation and personal injury cases, and other law offices frequently refer cases to us because they trust our experience and our dedication in fighting for our clients’ rights. At Pinder Plotkin, our contingent fee policy ensures that you only pay fees and expenses if and when we achieve a recovery on your behalf. Please call us today at (410) 661-9440 or fill out the form on our contact page to receive a free consultation regarding your case.